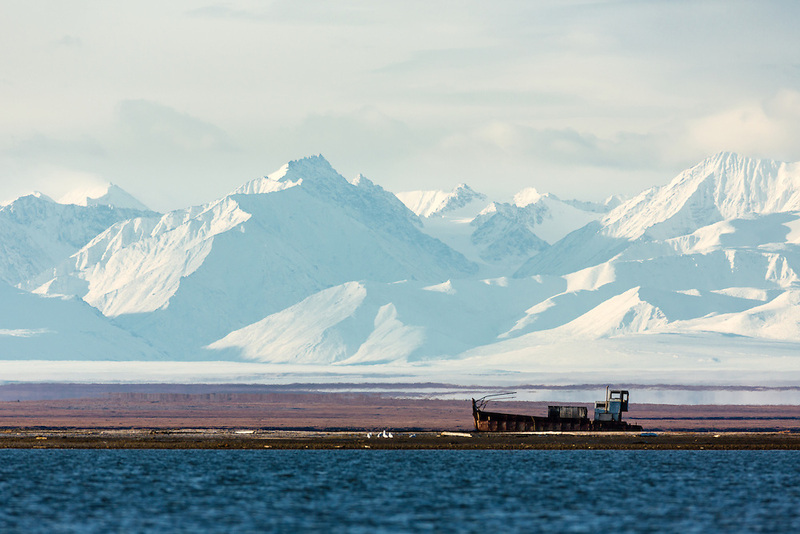 The Brooks Range looms large over a shipwrecked boat off Barter Island near Kaktovik in the Arctic National Wildlife Refuge in the Far North of Alaska. Autumn. Morning.